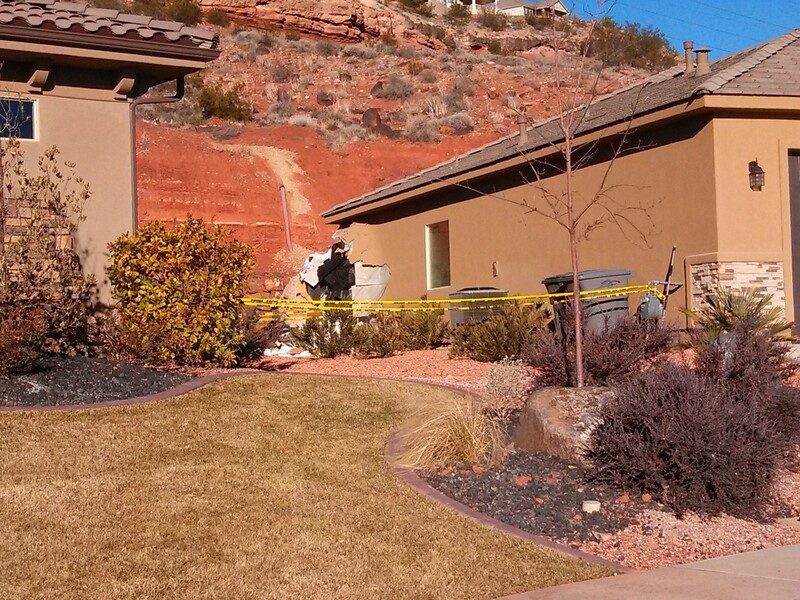 ST. GEORGE – A woman was given a rude awakening early Saturday morning when a boulder the size of a truck smashed into the back of her home. 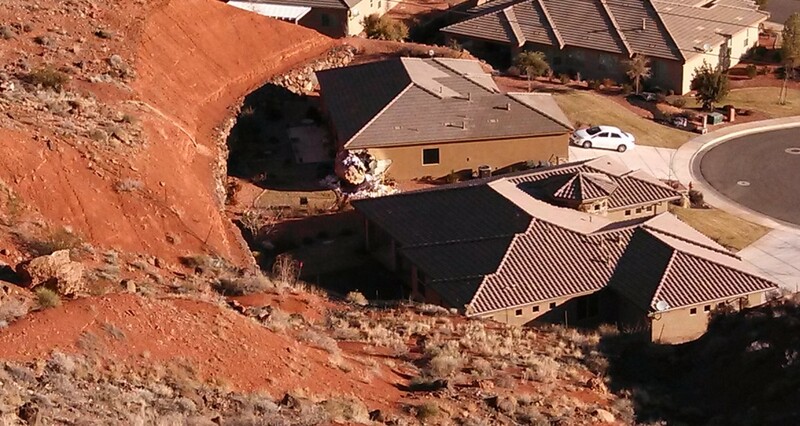 The St. George Communications Center received a call at 2 a.m., Saturday, from a home on South Acantilado Drive, which is located in a subdivision situated along the bottom of the eastern slope of Foremaster Ridge. Dispatch was told a large boulder had smashed into a corner of the home where a bedroom was located. A woman was sleeping in the bedroom at the time and was injured by the impact, yet managed to call 911 for aid. She was transported to Intermountain Southwest Region’s Dixie Regional Medical Center with non-life threatening injuries that include a broken jaw and a broken sternum. As of Monday morning, the boulder had yet to be removed from the side of the home. When will the city wake up and develop building codes and set backs that honor the unpredictable geology or the area. They should be sued. Why does everyone think it’s the City’s fault when things go wrong. Isn’t their any personal responsibility anymore? If you build next to a river, expect to get flooded. If you live next to a busy road or freeway, expect it to be noisy. If you build on the edge of a hill, expect your yard or home to fall off the edge. If you live at the bottom of a hillside with rocks perched above, well expect to have rocks roll down your way. The City or the government is not always at fault when things to not go your way. As long as we keep electing buisness people and mostly contractores and people affiliated with the local home builders asscosiations this is what we will get. People with only there own interest at heart. Quit whining, that’s what insurance is for! … happens.